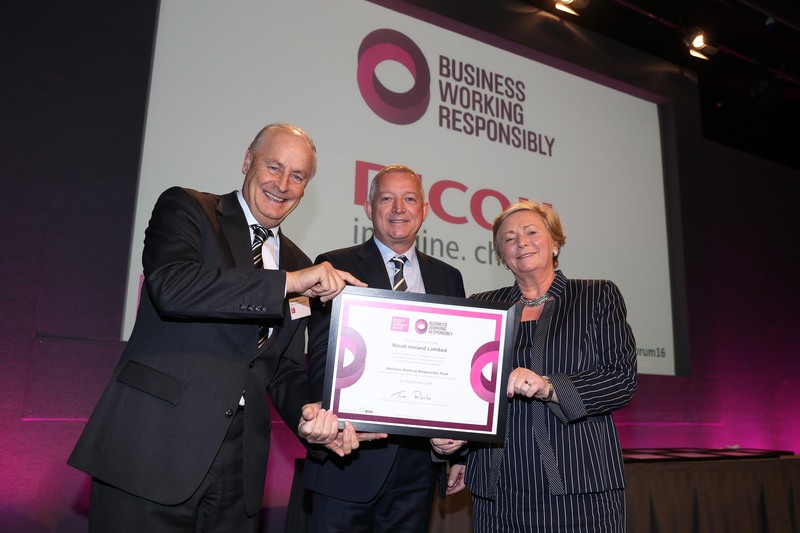 Dublin Castle was the venue for Ricoh Ireland receiving certification to the Business Responsibly Working Mark. It is the second time they received it and it recognises a select number of companies in Ireland that are leading the way for best practice corporate responsibility and sustainability. 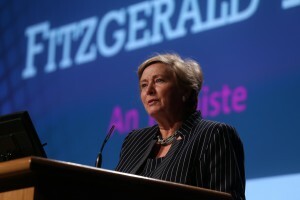 Ricoh received the Mark from Maurice Pratt, Business in the Community and An Tánaiste Frances Fitzgerald at the annual CEO Forum on 25 Oct 2016. The Business Responsibly Working Mark is audited by the National Standards Authority of Ireland (NSAI) and based on ISO 26000. It is an all-encompassing standard that certifies responsible and sustainable business practices and is available to organisations worldwide. Ricoh Ireland was recognised for its highly proactive approach to promoting CSR initiatives within its own business and throughout local communities. This includes Ricoh employees receiving two days paid volunteering days per year. Ricoh raises much-needed funds and awareness for charities such as LauraLynn Children’s Hospice, which was nominated by Ricoh staff as its charity of the year. 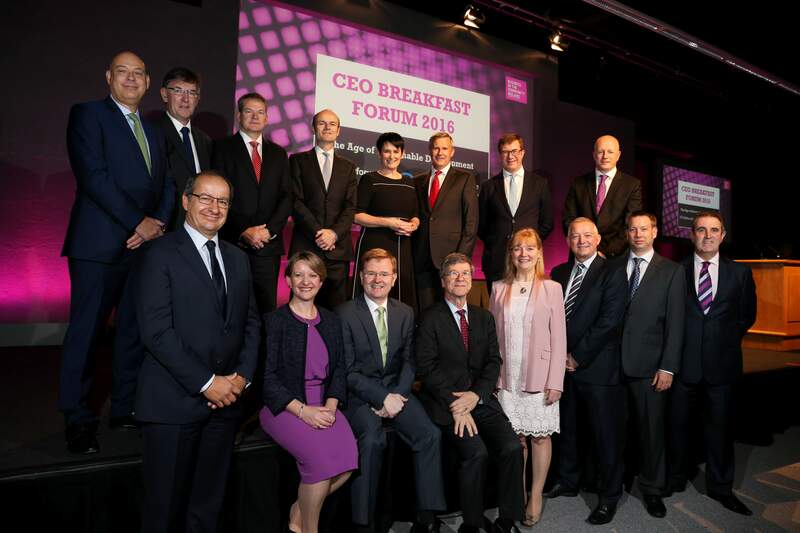 Photo (back row L-R) Clive Bellows, Northern Trust; Eoghan Lynch, Arup; Niall Gleeson, Veolia; Kenneth Daly, Marks and Spencer Ireland; Carolan Lennon, eir; Alastair Blair, Accenture; Julian Yarr, A&L Goodbody; John Fenton, Janssen; (front row L-R) Chris Martin, Musgrave; Maeve McMahon, Ulster Bank; Liam McLoughlin, Bank of Ireland; Professor Jeffrey Sachs; Tina Roche, Business in the Community; Gary Hopwood, Ricoh Ireland; Ray Collins, Vodafone; Gerry Madden, Transdev. (Pic: Jason Clarke)Ricoh also partnered with St. Kevins College in Finglas as part of its School Business Partnership Programme. The project is aimed at introducing children in the local community to the world of work, encouraging them to complete their education and build a successful career. 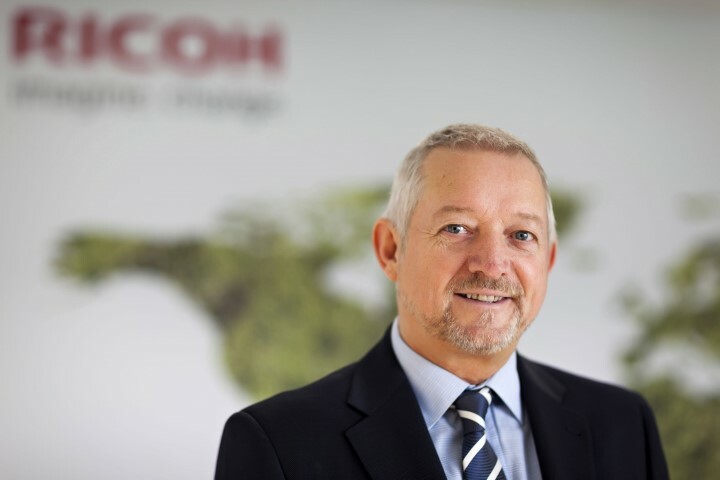 As part of its sustainable approach to print and document management, Ricoh Ireland provides environmentally-friendly print technologies and services to a wide range of businesses and charities across Ireland. “Sustainable growth, job creation, environmental sustainability and social resilience are cornerstones of this government’s economic and social policies. They are crucial to attract investment, foster the growth of the economy and to build social cohesion, equality and inclusion. They are all interconnected. Frameworks such as the Business Working Responsibly Mark support these goals and it is important to acknowledge the leadership of these Irish businesses in pursuing certification of their responsible and sustainable practices”. The companies presented with their Mark certificates are leading in the area of sustainability in Ireland. Many other companies use the Mark as a measurement and gap analysis tool. In total, 23 companies have now achieved the Mark and the other organisations that currently hold it are Boots Retail Ireland Limited, CRH Ireland, Deloitte Ireland, EirGrid, ESB, Fujitsu Ireland, Gas Networks Ireland, Intel Ireland and KBC Bank Ireland Head Office. Professor Jeffrey D. SachsThis year’s forum was addressed by world renowned economist Professor Jeffrey D. Sachs. 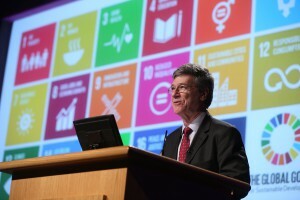 Professor Sachs spoke about the UN’s Sustainable Development Goals and how business leaders in Ireland must take action to help implement these goals. He was a key architect of the Goals that were agreed by 193 countries over one year ago. The Goals are a complex matrix of 17 goals and 169 indicators, and they represent the new KPIs for the Planet. The Mark is available to all organisations. Access to the Mark is available to members and non members of Business in The Community Ireland. If you only want to do the Mark on its own, the fee is €10,000 excluding NSAI audit fees. (NSAI audit fees are €1,100 plus VAT per audit day up to a maximum of two days). So, as you can see, it's neither free nor cheap. Companies who enter it must be committed to it.